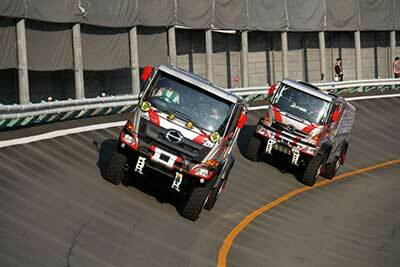 Hino Motors and Japan Racing Management held a press announcement regarding their participation in Dakar Rally 2016. The event coincided with a send-off party at Hino Motors headquarters, where the team's two finished HINO500 Series trucks were put on display. Later that week, on the 17th and 18th (Saturday and Sunday), HINO TEAM SUGAWARA conducted a driving test at the Hamura Test Course. 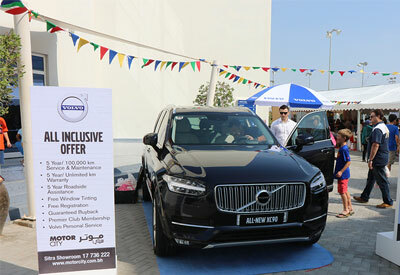 Bahrain, November 2015- Motorcity, the sole distributor of Volvo cars in the Kingdom of Bahrain, sponsored the British School Bahrain International Family Fair for the 2nd consecutive year. The event took place on Friday, November 27th, 2015. 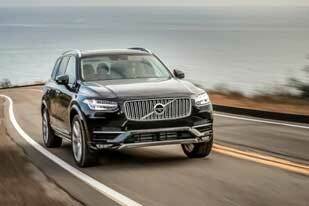 During the event, Motorcity displayed the all-newaward winning Volvo XC90 at the activities area where visitors got a chance to explore the latest award winning SUV from Volvo. Motorcity, the sole distributor of world class passenger and commercial vehicle brands introduced an entirely new brand, Daewoo Trucks to the Bahrain market on December 2nd, 2015 at the Bahrain International Circuit. The new range of Daewoo Trucks includes medium duty and heavy duty trucks with multiple applications available for the local market. 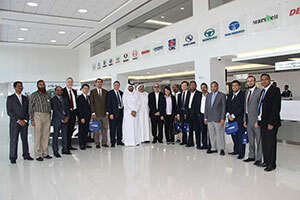 The launch event was attended by company officials, key customers and members of the media.